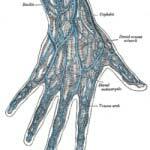 Veins play an important role in our bodies when it comes to the proper flow of blood to the heart and lungs. 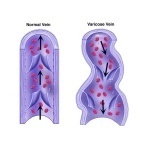 Vein problems such as varicose veins will occur at any place in the body. However, the legs are the limbs which are most often affected. When leg veins problems are present, simple movement like taking a walk, or climbing a flight of stairs becomes a difficult activity. Those who are overweight, pregnant, or perhaps have a career keeping them on their feet for endless hours are at a great risk for leg veins problems. A pregnant woman has more blood volume and a transition of hormones adding pressure to blood vessels. Diabetics and folks diagnosed with elevated cholesterol levels are also at risk for problems with leg veins. 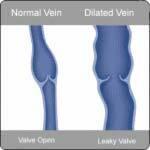 Vein problems are sometimes inherited or become more probable for aging individuals.